The former Baltimore Raven has a new autobiography out, and it’s pretty darn good! 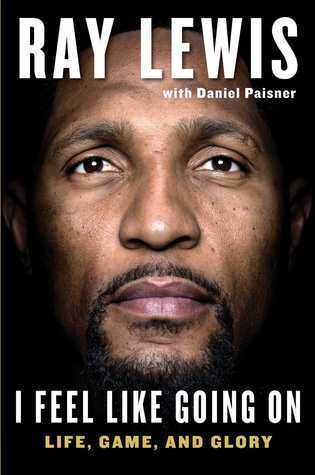 In I Feel Like Going On, us readers get an intimate look into Ray’s life and understand where all that fire and passion he possessed in the league originated from. Those of us who have grown up similarly to Ray will understand how and why he used his childhood as his motivation. Instead of dwelling on the pain of not having his father and the other upsets and disappointments, he used it all as fuel to create a better life for himself and his family. What really made this book enjoyable is it feels like he’s talking directly to you. Seriously, the book reads as if you’re sitting with Ray, listening to him tell you his story. And yes, he even discusses that fateful night. Whatever you think or believe, what is known is that Ray emerged from that situation a changed man. So, football fans or those who simply like a good autobiography, should give it a read. You might gain some extra motivation you can use in your own life.